This post was originally published on RETROactive on March 6th, 2012. Farmers across the province will soon be busy with harvest so we thought it appropriate to highlight a previous post associated with Alberta’s agricultural past. Please note that these statistics are from 2012. The twentieth century saw the rise and fall – literally – of the wooden country grain elevator in Alberta. As rail lines spread across the province, grain elevators sprouted like mushrooms after a spring rain. The high water mark for wooden country grain elevators was in 1934. New elevators were added in every decade, but this has been exceeded by the rate of demolition or closure ever since. Check out the following “index” of Alberta’s wooden country elevators, called “elevators” for short in this list. For a list of communities in Alberta with designated and non-designated elevators, please click here. Grain elevators that have been moved off railway rights-of-way – to a farmyard or a museum, for instance – are not included in these statistics. Grain elevators located on railway rights-of-way where the rails have been torn up are included in these statistics. Concrete or steel elevators are not included. Elevators used for other purposes, such as seed cleaning or fertilizer storage, are not included. Most of these elevators were last documented by the Heritage Survey in 2005. It is possible that some of the elevators on the list are now gone. 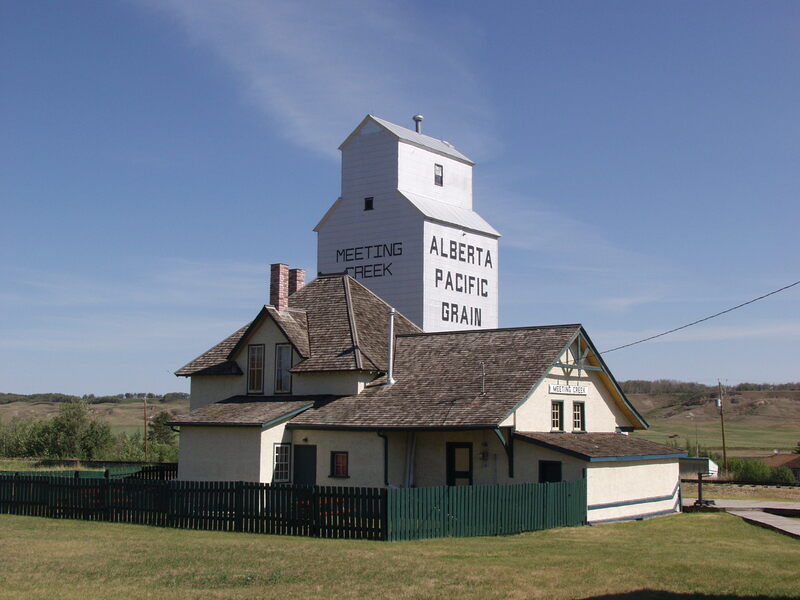 View records for designated grain elevators on the Alberta Register of Historic Places. Explore the online Heritage Survey database, which has records for over 700 grain elevators. 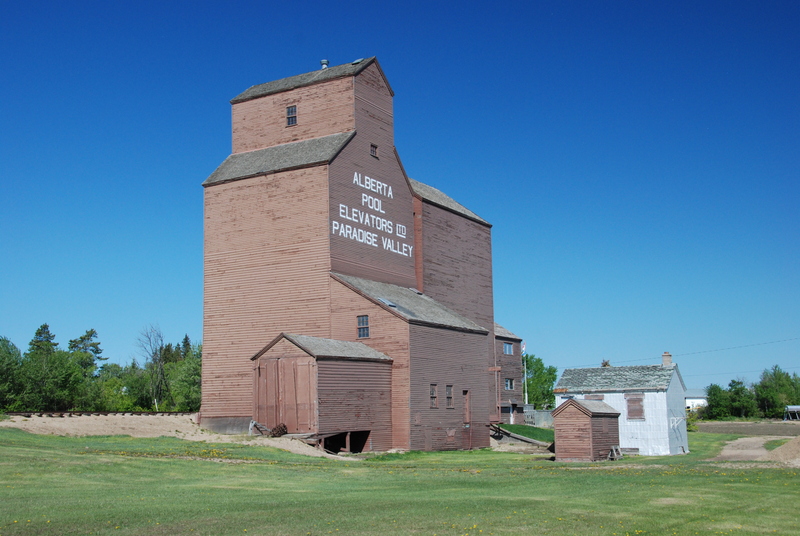 Read “Alberta’s Grain Elevators: A brief history of a prairie icon”, a Government of Alberta booklet, on the Alberta Grain Elevator Society website. This is the second of two blogs about some of the unique evidence of early boating in Alberta. The first blog explores First Nations boats and the second discusses the earliest Euro-Canadian vessels from the adoption of the birch back canoe to steamboats. It takes patience to fold steaming hot birch bark into a canoe and it takes power to hammer the planks of a lumbering sternwheeler. The products of Alberta’s early boat building were vessels that delivered families safe and sound to hunting grounds, glided fishermen over teaming shoals, and carried trade goods in an economic system that forged our province. This is the first of two blogs about some of the unique evidence of early boating in Alberta. The first blog explores First Nations boats and the second discusses early Euro-Canadian vessels from the adoption of the birch back canoe to steamboats.